If you're looking for the best electric toothbrush check out our list below, which recommends what we rate as the best electric toothbrushes in 2019. We're one of the only sites out there dedicated to buying in electric toothbrushes, thoroughly testing and reviewing them, and then making recommendations based on this ongoing experience. You can find out more about us in this video. Every month we reconsider and update our recommendations based on any new brushes we've tested. This post was last updated in April 2019. As close to perfect as can be. A stunning electric toothbrush that cleans well, looks good, is simple to use and has a battery life better than most. Superb value, it even reminds you when it’s time to change your brush head. In terms of the number of features offered, our choices below for the best Oral-b and best Sonicare are superior, but we rate this as the best overall choice once the lower price has been accounted for. If money is no object then this is the toothbrush to go for, it's safe to say it's the best Sonicare electric toothbrush and comes top of our ratings. Innovation is packed in from brush head replacement reminders, to Bluetooth connectivity and in case charging. A refined and premium brushing experience. The flagship Oral-B electric toothbrush it is a little pricier than most, but it delivers on cleaning performance and features including real time tracking. This is definitely the best Oral-B electric toothbrush in terms of the technology offered. Lightweight with a fantastic battery life, cleaning modes and decent box contents, you get a considerable amount considering the price asked. In our book this makes it the best affordable electric toothbrush. Whilst this is a perfectly suitable brush for anyone, those suffering with receding or sensitive gums will take benefit from the lower powered sensitive cleaning mode and pressure sensor that alerts you if you are brushing too hard. Slim and comfortable in hand, the battery gives 2 weeks use between charges. A pleasure to use, you get what you need, no unnecessary extras. The super efficient clean that the 5100 offers helps dislodge and lift plaque from the surfaces of your teeth and in the tight gaps around braces. Multiple cleaning modes help take care of different aspects of your oral health and the provided travel case ensures you can take your brush with you, wherever you go. The intelligent sensors let you know when the brush head needs replacing too. Brushing is more fun with the colorful range of handles from Goby. Super cleaning performance, USB charging and the option of monthly brush head deliveries right to your door. You can order it on the Goby website. The Netflix of the toothbrush world. An evolution of the manual toothbrush, it is compact, comfortable and powered by an AAA battery. Delivered to your door is the brush and replacement heads, there is fantastic convenience. You can order it on the Quip Website. This is the best kids brush on the market. 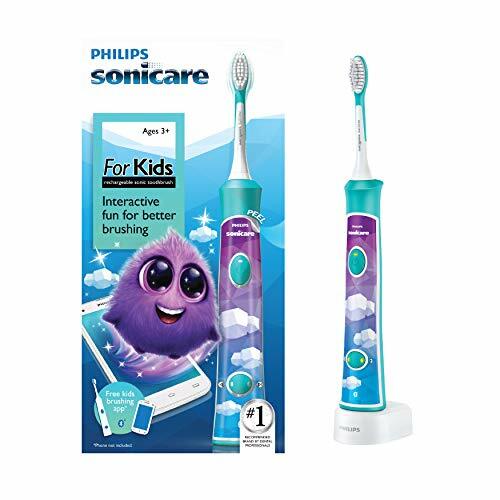 It comes with various stickers so that the brush can be personalised, and the companion app for Android and iOS works very well to encourage kids to brush, your child will enjoy brushing their teeth! Small design touches and long battery life make your life as a parent much easier. Having given our answers above, what follows below is a buyer's guide that further explains toothbrush choices. If you would like a more thorough explanation, you can view our full length buyer's guide here. For those that want truly the best in terms of performance (and if money isn't an issue), we'd recommend the Genius Pro 8000 or the DiamondClean Smart, which also happen to be the best Oral-B electric toothbrush and best Sonicare electric toothbrush respectively. The ProtectiveClean 4100 helps ensure you achieve a thorough clean, removing as much plaque as possible, thanks to the fast and consistent brush strokes it offers. The built-in timer and pacer encourage you to brush for the right amount of time, evenly across the mouth. The pressure sensor alerts you if you are brushing too hard, which is a cause of gum recession and the brush head replacement reminder system tells you when it is time to swap out the current head for a new one. Damaged, frayed or worn bristles can be damaging to the teeth and gums, this technology helps stop this damage from occurring. In the following section, we include our own insight on the other questions you may have when shopping for an electric toothbrush. This is compiled having extensively tested the range of brushes available in the USA. If we could have only one feature on the toothbrushes we recommend, a timer would be our first pick, its importance is highly underrated. Too few people brush for the dentist recommended 2 minutes. Failing to do so puts your oral health at risk. The built in timer, helps keep you focused, on track and brushing for the right amount of time. Counting down from the moment you switch the brush on, it alerts you when your 2 minutes are up. Only when the 2 minutes are up should you stop brushing. Some brushes even turn themselves off at the end of the 2 minute cleaning cycle (this is another desirable feature you may want to look out for). Of course our top recommendation, the Philips Sonicare ProtectiveClean 4100 has a 2 minute timer built in. Essentially this is another type of timer, that works in conjunction with the previously mentioned 2 minute timer. The inclusion of a quad pacer on an electric toothbrush helps us brush our teeth evenly. It is no good spending 2 minutes brushing just the top row of teeth, or just those front teeth, all need equal attention. A quadpacer works by essentially splitting the mouth and the 2 minute cleaning time into 4 pieces. 2 minutes is equal to 120 seconds. Split 4 ways that gives 30 seconds. If we now imagine breaking the mouth up into 4 sections, in section 1 you have your upper right teeth, section 2 your upper left, section 3 your lower right and section 4 your lower left. What the quadpacer does is alert you as you hit these 30 second intervals. As you get the alert, you move to the next section. The way this alert presents itself does differ from 1 brush to another, but normally you will get a brief pause in the brushing motion, which also causes a change in the sound the brush makes. In most instances this is more than enough to alert you that it is time to change quadrant. Our number 1 recommended brush, the Sonicare 4100, includes a quadpacer. This is not an essential feature, but one that we feel is highly underrated. It is most useful to new electric toothbrush users, but even those who have been using an electric brush for years can still benefit. The bristles of a toothbrush need only skim the surface of the teeth and gums. You do not need to scrub the teeth aggressively to clean them and remove plaque and bacteria. Sadly, because many of us have never been shown how to brush our teeth properly, we do brush the teeth with too much force. Over time this can lead to gum recession, a condition best avoided if possible. Where you have gum recession, brushing too hard will also wear away the outermost surface of the tooth, causing what dentists call abrasion. Abrasion itself can result in sensitivity to hot and cold food and drinks. The pressure sensor therefore is able to monitor the force with which you brush and alert you when you get a little to aggressive. In most cases, as the sensor is activated it will alert you through a change in sound, a vibration in the handle and in some cases by switching on a light in what we call a visible pressure sensor. During that time, the best brushes will also decrease the speed of the bristle movements to avoid doing too much damage to the teeth and gums. When the pressure is relieved the normal brushing power will return. A pressure sensor is there to help and protect you and act as a gentle reminder to use a little less force and help you maintain a healthy smile. As you might expect, our number 1 recommended toothbrush, the Sonicare 41000, includes a pressure sensor. Our experience has suggested that most people have a perception that the more you spend, the better the electric toothbrush is and the better the clean you get from it. The reality of the situation is, this is not true. Whilst the most expensive brushes might be able to achieve better results, often these brushes are more expensive because they include features and accessories that are not essential. Simply switching to the most basic and cheapest of electric toothbrushes will give you many of the benefits. Even if you can afford and justify the most premium models, this is no benefit to you if you do not use the right brushing technique or brush for the right amount of time. In most instances, by the time you spend more than $50 on a toothbrush the returns are diminishing for each dollar spent. 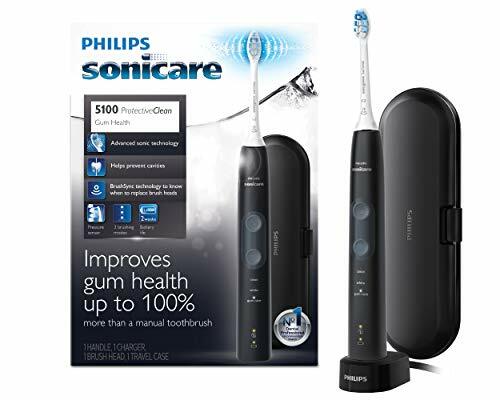 Our primary recommendation is the Philips Sonicare ProtectiveClean 4100. 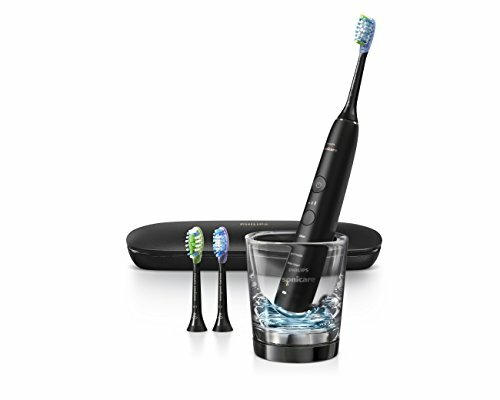 It is one of the cheaper Sonicare models available today and is priced very competitively. However, spending a bit more, may bring features such as Bluetooth connectivity that might be beneficial to you and your oral health. Often many people desire a toothbrush with a long battery life, but they rarely need it because when not in use it sits on the charging stand in the bathroom. Therefore battery life need not be a big part of your buying decision, however it should be a consideration, particularly if you find yourself travelling frequently or unable to charge your toothbrush at regular intervals. Going away for a week or two, knowing you don’t need to take a charging stand to replenish the battery can be helpful. If you do need a particularly long battery life, Philips Sonicare tend to be the best for this. An electric toothbrush is a long term investment that benefits your oral health. The cost of replacing the brush heads every 3 months, as is recommended can affect the long term ownership cost. Therefore you may want to consider this cost before making your decision. Typically Oral-B brush heads are cheaper than Sonicare with a single head costing $5 and $8 respectively. You will need to buy 4 new brush heads a year, so these costs can add up. But, you can often buy in bulk or get deals that bring the overall cost down a little. In most instances you have the choice of opting for a third party (compatible with) brush head. There may not be the same range of choice and the quality may be slightly inferior, but there are some great options at very good prices for both Sonicare and Oral-B. Far from the first thing you should consider when buying an electric toothbrush, but a travel case can be extremely handy, even if you are not a regular traveller. What is often a plastic case that holds the handle and up to 2 brush heads can make it much easier to transport the toothbrush and the brush heads in those instances you need to. Premium models like the Genius Pro 8000 and 9600 or Sonicare’s DiamondClean range even allow the toothbrush to be charged in their travel case. This means there is no need to mount on a charging stand, ideal for regular travellers. Arguably an overrated cleaning mode, this is not something you need on your electric toothbrush. Whitening mode is normally just an extended (longer than 2 minutes) cleaning cycle, which allows extra time so that additional attention can be given to those front teeth that are most obvious to others. No electric toothbrush, with or without a whitening mode can actually whiten the teeth. All that is happening is that the power and efficacy of the toothbrush cleans the tooth surfaces to a higher standard and lifts off substances that have dulled and stained the teeth. Therefore it restores the natural color or whiteness that had been hidden under the stains. Studies have shown that the small round brush heads like those found on Oral-B electric toothbrushes are better at removing plaque and do essentially result in better oral health. However, these studies have often been completed under strict conditions and the real world reality is that any electric toothbrush will provide meaningful benefits over a manual toothbrush. To get the ‘best’ results the correct brushing technique and time needs to be adhered to and even the most scientifically engineered toothbrush head cannot control this, that is down to you. It is worth paying a little attention to though, particularly if you have a small mouth. It may well be that the smaller round brush head will allow you to reach areas of the mouth that other brush heads would not. How useful are the smart features in the likes of the Genius Pro 8000 and DiamondClean Smart? Smart features on offer today can be very useful, but they are far from essential and usually come with a premium price tag. If used properly, smart features such as real-time tracking in the Genius 8000 and DiamondClean Smart can train you to become better at cleaning your teeth and improve your oral healthcare routine. They can also add a certain convenience to the way in which you use and interact with the brush. 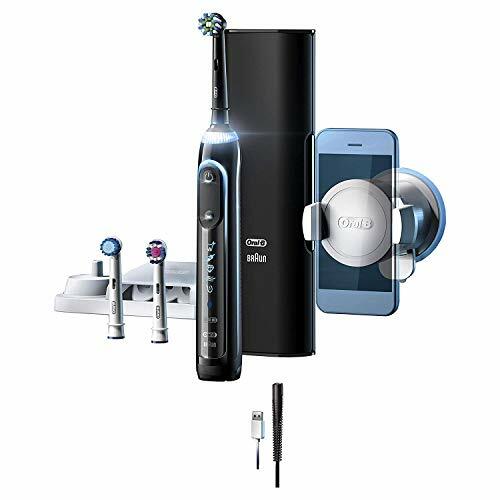 It is not essential and we would not encourage you to spend a lot more to get a brush with Bluetooth technology, unless you feel you will make good use of it. In-built Bluetooth technology can send data about your brushing back to your smartphone. This data can then be used to help educated you on how to improve your technique and in turn improve your oral health. We acknowledge that there are certainly significant benefits for some users. The best Bluetooth equipped brushes can be likened to having a dentist on hand each time you brush. Further to the above, as part of our extensive hands-on testing of brushes we've tried to answer any of the questions you may have before and after buying. Purchasing at a reasonable price helps to ensure the investment pays off. Our primary recommendation, the ProtectiveClean 4100 is a great example of this — it includes the 'core' features we recommend having, but doesn't pile on unnecessary extras. The short answer is yes, electric is better than a manual toothbrush when it comes to effectively cleaning your teeth. It can exaggerate or accelerate recession, but this is as a result of user (human) error rather than the action of the brush. This effect is just as likely to happen with a manual toothbrush. No, electric toothbrushes do not whiten teeth. Electric toothbrushes can help prevent and remove stains on your teeth, but no brush can whiten teeth beyond their natural whiteness. Although almost one in ten (9.7 percent) said they had shared a toothbrush (Oral Health Foundation, 2014)​, it is not advised. We've made it our business to review all of the top brushes in the US so that we can compile a ratings post like this. We've listed some of our most popular reviews below. If there's a particular review you're looking for, use the search box. If you still can't find it, leave a comment to let us know. You can view a list of all our electric toothbrush reviews here. If you're choosing between two or three brushes, you may find some of our side-by-side comparisons useful. These include actual photos of the brushes (we buy them in to review and compare them) and our recommendation of which we think is the best choice. Choose a comparison from the list below, or use the search box if there's a particular one you're looking for. You can view a list of all our toothbrush comparisons here. What are your thoughts & opinions? Is there a brush you're thinking of buying? Not sure about the difference between two brushes? We're always interested to hear from readers, so let us know any thoughts, questions or opinions you have by leaving a comment below. I have the benefit of buying a cariPRO through my insurance for a very very good price over retail. The cariPRO is a brush we have become aware of in more recent months. We have found like you that most people have been given one to review and have fairly positive things to say, as you might expect. We hope to review this product in the near future, but I can’t say when this will be exactly. If I were you, stick to what you know and that is proven. If I wasn’t confused enough before, your site has gotten me there. Why is your Best electric toothbrush recommendation different for the UK than it is for the US? The toothbrush features and prices differ slightly from UK to US – even models with the same / very similar name are not necessarily like for like. We therefore have different recommendations for each country. Let us know what sort of price range and features you’re interested in, and which country you’re in, and we’ll give a couple of recommendations. I would appreciate if you give a quick comparison summary between Sonicare 4100 and Oral-B 1500, using your categorized breakdowns. I believe many other prospective first time users would appreciate this comparison of two later models. A full written comparison is on the list to do, but here are the main differences for you. The cleaning action of the brush head is different. Oral-B has the small round oscillating-rotating brush head, with pulsations compared to the side to side sweeping movement of the Sonicare. The 4100 ProtectiveClean has Sonicares BrushSync brush head reminder system. You can learn more about that here. Sonicare offer a range or brush heads, but you ideally want to use their newer, more premium ‘BrushSync’ compatible heads to take full advantage of the features that are on offer. You will typically find each brush head from Oral-B is a couple of $ cheaper. 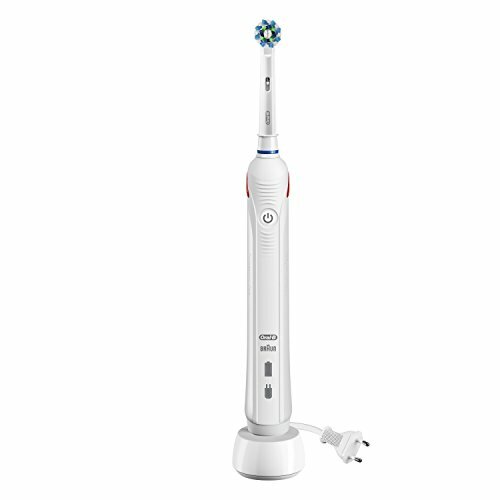 The 4100 has just 1 cleaning mode (Clean) compared to the 2 modes of the Oral-B 1500 (Clean and Sensitive). The Pro 1500 has a visible pressure sensor on the rear of the handle. The 4100 has a pressure sensor, but not the visible light like the 1500. The Pro 1500 has a 2 week battery life as does the 4100, but in hand, testing has had the 4100 lasting up to a couple of weeks longer. The Pro 1500 comes with a US charging stand, as does the 4100, but the Sonicare stand has support for global voltages should you travel. Those are the main differences. Just to recap a few similarities. Both brushes are similarly, have a built-in 2 minute timer, quadpacer, rechargeable battery, 2 year warranty and 1 brush head in the box. Thank you very much. It does help, and as I am not from the States, the voltage factor has the deciding say. Forgive me if I’m wrong, but I don’t remember reading about the voltage on your reviews, and believe your international readers would praise if you include this difference in your future reviews. Of course I read both reviews, and even the differentiating techniques of the two companies, but such eye-to-eye comparison tells me clearly what I’m gaining and what I’m losing for my choice. Thanks again and keep up your splendid in depth reviews! I do normally include information about the voltage/charging stand in the reviews, but it is possible that I may have forgotten to do so on one or two reviews. If you need more information please let me know. Hello, I’ve been thinking about getting my first electric toothbrush, and had settled on the Oral-B Smart 5000. 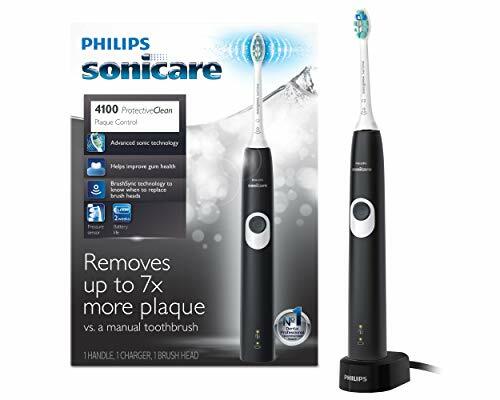 Then I noticed I could get a Philips Sonicare ProtectiveClean 5100 for a similar price, and a bit of research lead me to your site. I see a lot of people say they prefer Oral-B brush heads, both for comfort and replacement cost. Any advice? To be honest, it is often a personal preference at the end of the day. On a more technical level, the Oral-B’s do tend to clean the teeth better and the brush heads are cheaper to replace, hence this is why many prefer. Sonicare tend to be quieter brushes and feel a little more premium, whilst offering better battery life. If you use either brand of brush correctly, there will deliver a superior clean to a manual brush. If you have any specific queries you need answering then just let me know. I have had a Braun 3D excel now for about 20 years that is just starting to go. (Got my money’s worth from that one!) I need a replacement and need it to be simple. The fewer choices the better for me to not over think and just get it done. Do you have a recommendation which would be most similar to that one? I had to look that model up. I can see it is from the mid 2000’s so, yes it is fair to say you have gotten your value from that one! My go to recommendation for no nonsense, simple to use Oral-B brush is the Oral-B Pro 1000. It does a good job of cleaning the teeth and is great value. If you want to learn more, check out my review here. I owned a phillips toothbrush for years, bought the brushes online, but the battery finally died. I am 77 years old with many crowns and each toothbrush I have bought end up buzzing too fast, tickling my gums, tongue and shaking my teeth. Which toothbrush is available that is not so intensive and I do not like the round brush heads. Any help from you would be great. If you don’t like the round brush heads Sharon, it will be a case of sticking with Sonicare like you have had previously. Most are going to move at a high speed though unless you use them on a sensitive/gum care mode. Have you tried brushes with these more gentle modes? If so did you still feel the tickling/buzzing sensation? I bought the Phillips Sonicare Diamondclean & even though I liked it, I will never buy another or recommend it. It was guaranteed for 2 yrs & a little after 2 yrs the battery went bad. There is no replacement for that. You might as well throw it away. The Phillips customer service people were “so sorry, but it is out of warranty “. They refused to do anything except sell be another at 10% off! Why on earth would I buy another one if the batteries are designed to go bad shortly after the warranty expires? I am now looking for a replacement toothbrush with a better battery life and/or better warranty on the battery and/or a toothbrush with a replaceable battery. Any help with this searc would be greatly appreciated. I should add that price is not my greatest concern. Sorry to hear of the circumstances you have experienced. When it is out of warranty, there is little manufacturers offer to do, but this is the same with most products. I would not say that your experience is normal, most do last longer and we suggest the average life of an electric toothbrush is 3-5 years on average. Many will last longer. Happy to help in your search. In comparison there are few options you have that are quite as capable as the Sonicare DiamondClean, but have removable batteries. I think you would benefit from taking a look at some of the options listed in our best battery toothbrush article. 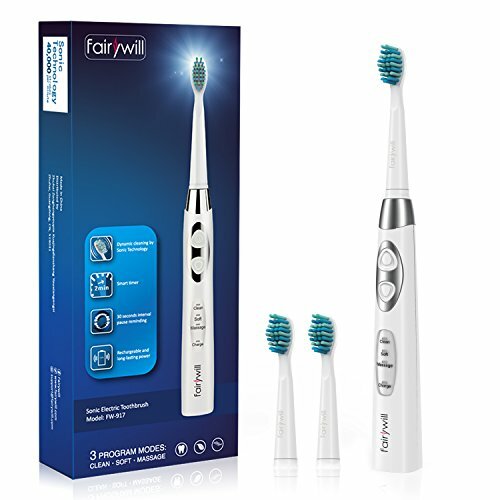 The Fairywill 959 is the winner and will give a similar brushing experience, but there is the likes of the Sonicare PowerUp if you would prefer to stick to a better known brand. Sadly, to my knowledge, none offer longer warranties, in fact, most are just a year, but the purchase price tends to be less. The only exception to this is Quip, which is a subscription service. I believe their warranty lasts as long as you remain subscribed. I just purchased a Sonicare 5100 Protective Clean Gum Health (with a coupon I paid $60 at CVS which I know is a very good value!). Wow that was a good price on the 5100, good work! Whether it is worth it, is always a difficult question and is somewhat is a personal opinion. Normally, based on the presumption that the 3 series is working fine, unless you needed the extra features it would not normally be necessary to upgrade as the 3 series still does a good job. You will likely feel the 5100 is better, but there wont likely be significant benefits to you, although there are some nice features built in such as the pressure sensor, brush sync technology and the travel case that is included. Given the price you bought it at, it seems a shame to return it, but of course no point keeping it if you won’t use it. You obviously felt it was worth buying in the first place, so that says something to me. You could move to it and sell on the 3 series brush handle, you will get a few $ for it. Perhaps you could pass the handle onto a friend or family member who may benefit. You could always gift the 5100. Or keep it as a spare, should the 3 series fail. Thanks so much for your thoughtful and thorough reply, Jon! I wish all review sites were as well researched and detailed as yours. Based upon your comments above, I’m keeping it. I do like the extra features, especially the pressure sensor and brush sync, which are lacking in my older Series 3. What kinds of tests do you do on the toothbrushes to determine their performance? We use them on a day to day basis, so every opinion we give is on a first hand, have used basis. Scientific tests are not what we are about. The brands already do this and there is plenty of supporting data to show the benefits of electric toothbrushes. Just a question, I have 2 oral b toothbrushes, the 7500 and the 8000. Usually I leave one in my house and carry the other with me all the time. Do you know if there’s a way to have both of them connected to the app? When I pair one of them, the other one is not recognized by the app. So I have to enter to settings and select “connect a new handle”, when I do that, the app don’t recognize the one that was connected. This is a very good question. The answer is that you cannot have more than 1 brush connected to the app at any 1 time. To log all your cleans in the app you would have to use just 1 brush. I understand why you have got the setup you have, but most people have 1 brush that they use and this is how the app has been designed to work. In a different post you say that oral b pro 2 2500 is the best and here its some other ones. Why? The post you are referring to is our UK website. In the UK the toothbrushes available and their prices are different to the USA, which influences the list. The Pro 2 2500 is not a model available in the US, so this affects the list we offer to our US readers. I hope that helps. If you need more information, please do let me know. Thanks for the answer. What would you say is the best between the nr 1 on this list and the nr 1 on the uk list? Good question. They are both slightly different and very difficult to compare because things like price usually have to be considered. If I had to pick, it would be the Pro 2 2500 from Oral-B, but only just. It comes with a travel case and visible pressure sensor which I like. The BrushSync technology on the ProtectiveClean is great, but less important as is the longer battery life it offers.